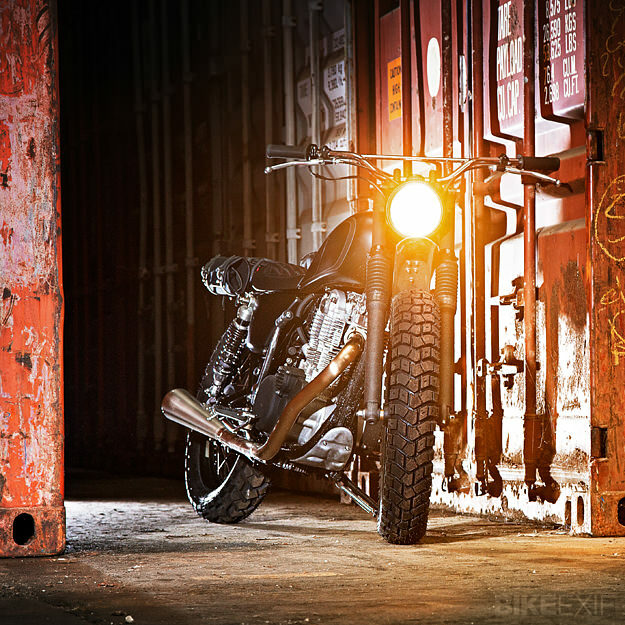 The big news for the European custom scene right now is the official return of the Yamaha SR400. 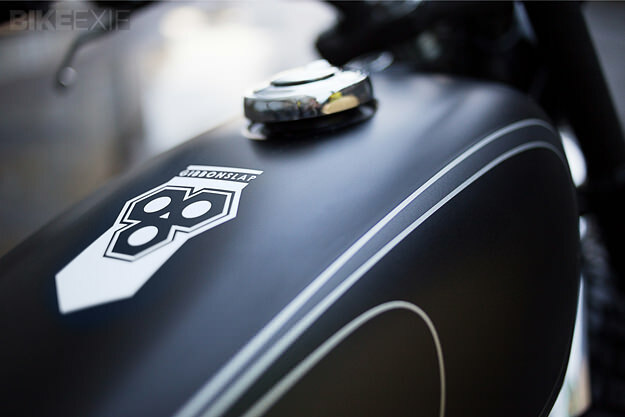 The icon of the Japanese ‘brat style’ scene will be available through Yamaha’s European dealers in fuel-injected form, providing a ready-made platform for pro and amateur builders alike. Yamaha announced the news a few hours ago at the EICMA motorcycle show in Italy. To celebrate, they’ve also taken the wraps off three new Yard Built customs. 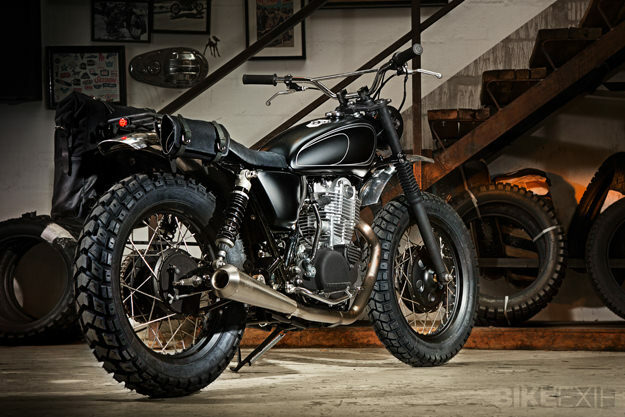 This SR400, nicknamed ‘GibbonSlap,’ comes from the Wrenchmonkees, who are in Milan to help launch the bike. There’s also a single-seat conversion, and the extra space has been used to mount a luggage rack with soft panniers. 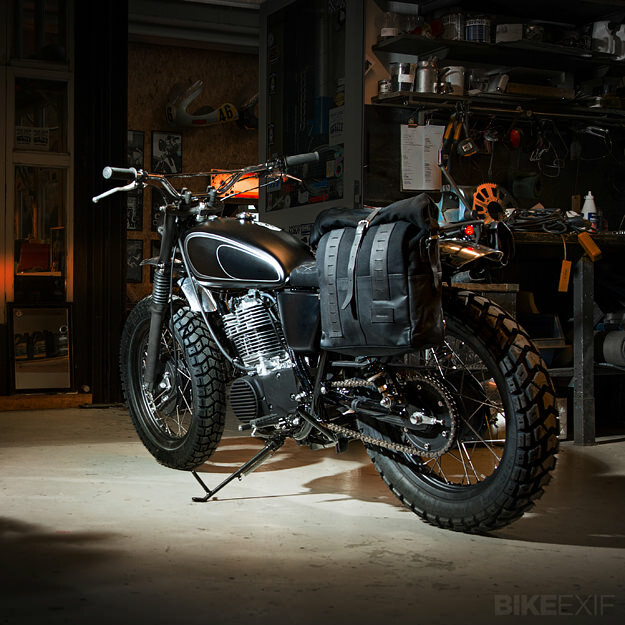 In keeping with the Wrenchmonkees’ design ethos, the paint is matt black—which also extends to the forks, frame, tank and even the top yoke. 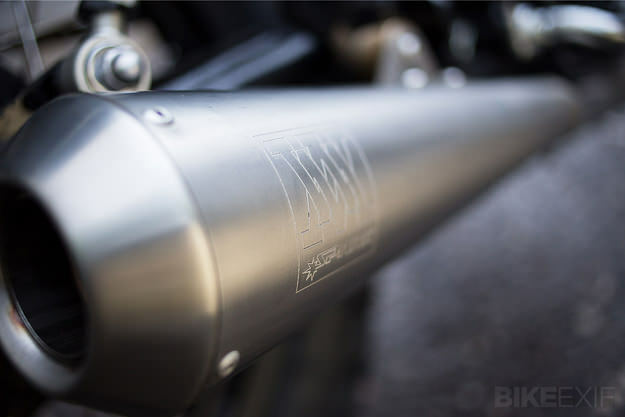 The new shocks and the engine cases are also blacked out, contrasting with the chrome bars and polished fenders. 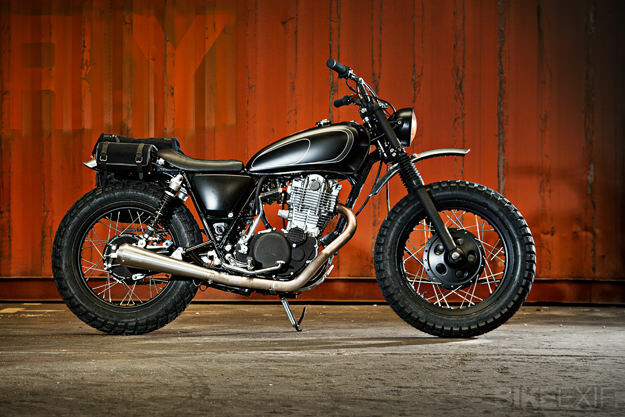 To make the process easier, in 2014 there will be custom parts on sale for SR400, devised between Yamaha, the Wrenchmonkees and Kedo. Great to see the return of an all-time classic—and another factory-fresh bike that can be easily customized as soon as it’s out of the box.